Your relationship is one-of-a-kind. 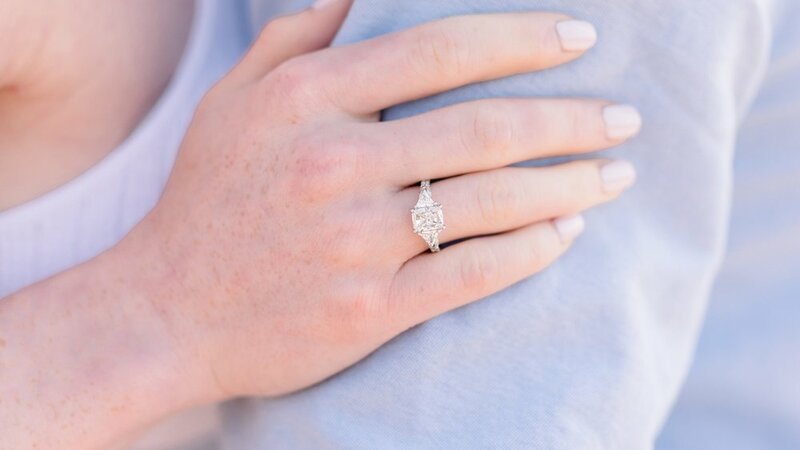 Your engagement ring should be too! 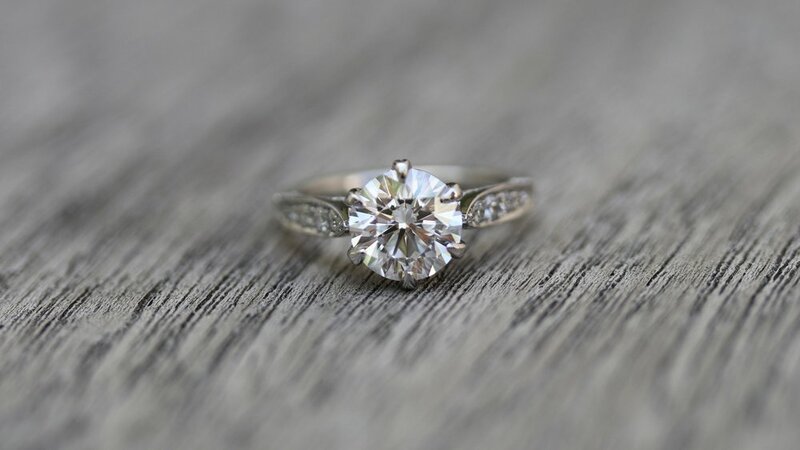 At Ada Diamonds, every ring we sell is custom designed around your center stone, making it a true work of art. 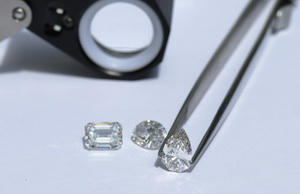 Our Diamond Concierge team excels at bringing your vision to life with exceptional lab grown diamonds. See below for a collection of our Concierge team’s favorite unique pieces our clients have created. What can we create for you? 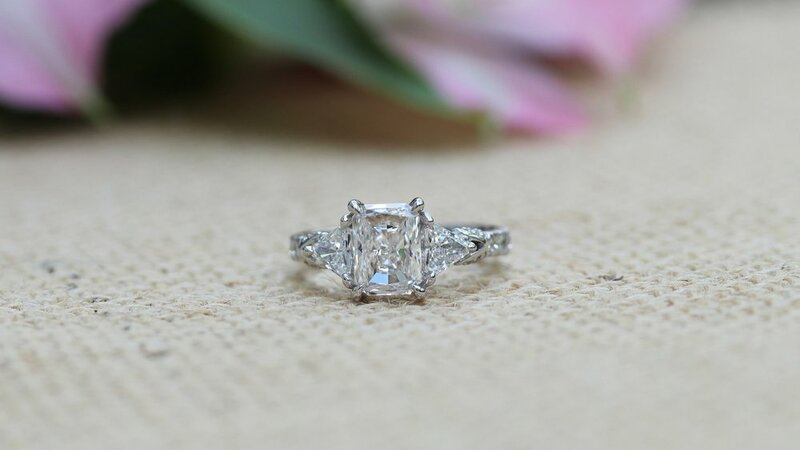 18k white gold halo engagement ring, featuring a 1.0 carat oval lab created diamond center stone with a halo of fancy yellow lab grown diamonds and lab diamonds down the shank, ring size: 6.5.